He complains that he cannot apply his mind to things. Until lately, he could not even with difficulty read a novel. Memory seems clear but patient seems absent minded. For some time after accident could not read letters or figures unless he traced them with his fingers. At the same time there was evidently some disorientation. He was continually getting lost. In 1880, William Mahlon Davis graduated with the first class from the Royal Military College in Kingston. He ranked fourth among the original eighteen cadets. Davis was born on 26 May 1857 in Malahide Township, Canada West. A member of the militia since his schooldays in 1876, Davis organized the 24th (Grey’s Horse) Regiment in 1908. After receiving a degree in civil engineering, Davis worked as city engineer of Woodstock and Berlin, Ontario before moving to British Columbia in 1910. In 1915, Davis raised the 54th from his new home province. 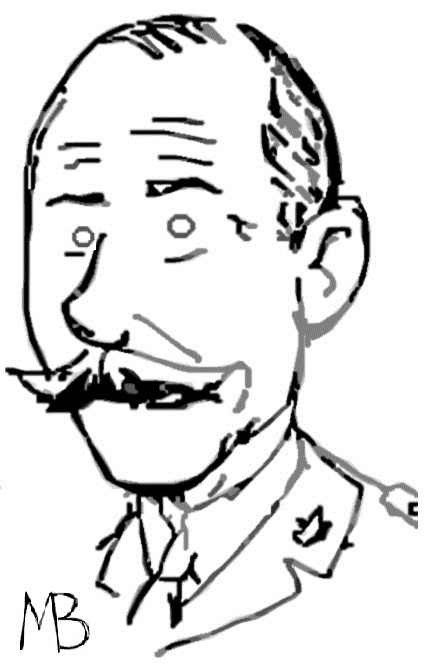 In August 1915, he was appointed commanding officer of the 2nd Pioneer Battalion. Command of the 54th passed to Indian Army veteran, A. G. H. Kemball, who led the battalion to England in November and then to France in August 1916. After arriving in England with the 2nd Pioneers, Davis was involved in a serious accident, which prevented his going to France. On 15 January 1916, a tractor engine startled Davis’ horse, causing it to rear backwards throwing its rider. As the horse fell, its weight landed on Davis’ head. A court of inquiry found the tractor engineer negligent for recklessness. Lieutenant Colonel Gilbert E. Sanders assumed command of the 2nd Pioneers while Davis was hospitalized. Following a slow recovery, Davis took command of a reserve unit at Bramshott but remained unfit for active service. He died in Ottawa on 8 October 1918, several months after being invalided to Canada .